Ciudad Perdida (Santa Marta - Colombia): complete guide with recomendations and prices. The Ciudad Perdida or lost city is one of the main marvels of Colombia, located in Sierra Nevada de Santa Marta and close to the beautiful city of the same name. The only way of reaching this settlement is through a 4 days trekking or by helicopter. 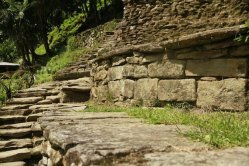 First excursions to Ciudad Perdida, where made few years after its discovery became public due to the multiple conflicts that the area was facing, because of the illegal excavations in search of the hidden treasures of the Tayrona culture. Nowadays excavations in this area are prohibited, in order to guarantee the conservation and preservation of the archaeological area and Sierra Nevada was declared a Biosphere Reserve by the UNESCO in 1979. Join this great adventure with us, all our treks to Ciudad Perdida have an English interpreter or a bilingual guide!! 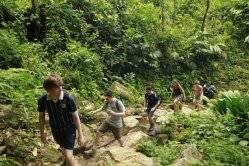 Why to do the Lost City trek? Currently four different indigenous communities (Kogui, Wiwa, Arhuaco and Kankuamo) still inhabit in Sierra Nevada de Santa Marta preserving its culture, dialect and traditions. Sierra Nevada of Santa Marta was declared a Biosphere Reserve by the UNESCO in 1979; Ciudad Perdida is situated in the foothills of this area. A majority of the staff and people who benefit from this trekking are natives from the region and indigenous communities. Most recent investigations undertaken in the archaeological Teyuna Park have discovered that the oldest settlements are from the A.C. 650 approximately. In order to reach Ciudad Perdida is necessary to contact one authorized agency and it is very important to book in advance. 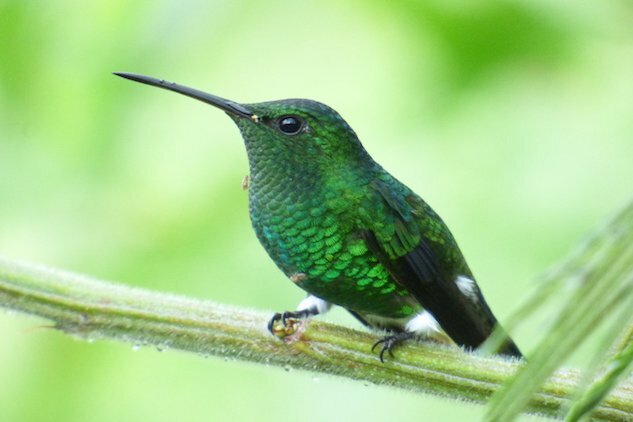 Thousands of unique species inhabit in the foothills of the Sierra Nevada; amongst them some unique and endemic birds of our region. It is a demanding trek which requires good physical condition and endurance plus an interest in nature. 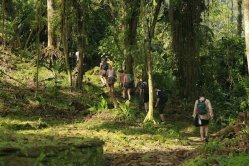 Ciudad Perdida trekking is a unique experience that is worth living and enjoying. During the tour there will not be network or any type of digital communication hence this is an amazing opportunity for you to connect yourself with nature and its stunning surroundings. How to get to Lost City. What to bring to the lost city trek. The Lost City of the Taironas was built 700 years before Machu Picchu? The tour that you will do goes through a trail that runs across the Buritaca river valley. Vegetation consists primarily on tropical forests, the climate is warm and humid, non-predicted rain may appear and in some areas it is possible to find muddy areas and slippery terrain. Insects such as mosquitoes, sand flies, midgets or others are very common. During the trail you will cross several rivers and streams. There is not mobile phone network coverage. This region is inhabited by farmers and indigenous people. The facilities where you will sleep and eat are owned by those local communities and even if the agency tries to guarantee high standards in the whole tour, the conditions of the provided services are not direct responsibility of Guías y Baquianos Tours. The ecoturistic trail Camino Teyuna – Ciudad Perdida and the Archaeological Park are under the strategy of Tourism, Peace and Coexistence of the Colombian Ministry of Trade, Industry and Tourism which aims to consolidate different destinations nationwide that at some point were affected by the conflict, ensuring its sustainability and empowering local communities in order to improve its economic and social conditions. Parts of the trail and the whole Archaeological Park are located within protected areas of the Santa Marta Sierra Nevada National Park, which has been considered a Biosphere Reserve by the UNESCO. Due to its importance, this destination has been raised to the category of Archaeological National Park. It is also considered a Colombian Archaeological Heritage thus it is monitored by designated state bodies and its preservation is responsibility of the entire nation. Therefore, it is very important take care of the environment and make good use of available resources. It is strictly prohibited the extraction of flora, fauna or any archaeological items. At present, Teyuna – Ciudad Perdida is a sacred place for indigenous tribes who inhabit the Sierra Nevada of Santa Marta. Like many other tourist attractions, the flow of people considerably increases during high season. It is important take into account that camps and footpaths are shared by all agencies thus there may be certain days in which agglomerations may occur resulting in overloads at the camps. This is the Lost City map route, it shows what the distance is carried out starting from Santa Marta to the "Mamey" or "Machete Pealo" time it takes on average about 2 hours by road making a stop at a point called "La Aguacatera" to stretch your legs a little. From "El Mamey", which is where the trekking begins, we walk almost 50 km round trip during all the tour, reaching a maximum altitude of about 1200 meters above sea level, which is the place where is the archaeological site Lost City. Lost city Map with altitudes. Our company has more than 25 years of experience, we are the first in the lost city tour. Our guides are native from the region, they are ready go give you the best service and the best experience.